I was asleep in the middle of the night when I was suddenly awakened. As I sat up on my bed startled, I heard the Spirit of the LORD say the following: "Disaster, death and chaos in the Aegean Sea". 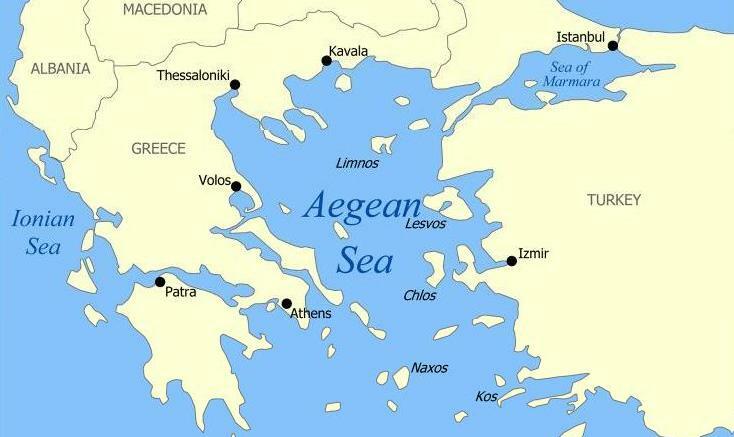 Interpretation: Something will take place in the Aegean Sea that will cause much death and chaos. I was not told what it was that will take place, but that part of the world is very hot right now. This is the sea where the moslems are crossing into Europe in mass numbers. Many have already died there, but it seems that something much worse will take place in the future. The Aegean Sea is also a place that is right by the nation of Turkey which in recent times has been threatening to go to war against Russia over the nation of Syria. Keep your eyes on this part of the world and pray that the Almighty will protect the innocent in this coming event in the near future. Job 33:14-16: "For God speaks once, yea twice, yet man perceives it not. In a dream, in a vision of the night, when deep sleep falls upon men, in slumberings upon the bed; Then he opens the ears of men, and seals their instruction."